Although the Elizabeth #712 is a lofted open space, the city of Portland allows for plenty of guests. Hotels are continuing to open throughout the city, particularly in the Pearl District. Most recently the Woodlark Hotel on SW Alder offers hip, trendy and comfortable suites that will provide your guests with an ideal overnight place to stay. For additional lodging options conveniently located close to the Elizabeth Condominiums on NW 9th click here. Portland State University students finally have a viable cocktail bar in the form of Vietnamese restaurant Anchoi. The sleek, modern eatery features Vietnamese staples like pho and bánh mì, as well as an array of tropical-themed cocktails designed by Blair Reynolds of the venerable Hale Pele. It’ll soon get a menu revamp, though some drinks will stick around — thankfully, the Indonesian Arrack-spiked daiquiri, a standout on the menu, isn’t going anywhere. What was once Vault Martini Bar is now Vault Cocktail Lounge after the space was taken over by the team from the Vintage Cocktail Lounge in Montavilla. Gone is the sprawling list of “martini” variations, replaced with a menu resembling the Vintage’s, full of classic cocktails and modern creations; still, the staff is more than happy to try and replicate anything missed from the old menu. The space itself is easily recognizable from before, though with some changes, like a gorgeous backbar set with elaborate metal tiles. Ex-Renata chef Matt Sigler’s downtown Italian restaurant, Il Solito, pairs hearty Italian comfort food with what’s essentially a Portland-Italian cocktail menu. Bar manager Bryan Galligos has designed each drink with at least one ingredient straight from the Bel Paese. The renovated restaurant space is as eclectically sourced as the drink menu, with black-and-white murals on one wall, framed photos on another, tiles, and more, which somehow manages to make a cohesive space. Formerly a colorful little cafe, Sweet Nothing kept the leafy wallpaper and leaned into it hard, landing on a Floridian theme with bright colors, live plants, Cuban food, and playful drinks. The cocktails are rooted in the unorthodox fashion of the ‘80s and ‘90s, but even using ingredients like Midori and Hpnotiq, cocktails are well-balanced and not overly sweet. The space is snug, with seats for only 14 or so, but its position just off of the main Mississippi strip means it’s usually not overcrowded. Portland isn’t exactly known as a “clubbing” city, and the clubs we do have aren’t really cocktail destinations, either. Enter No Vacancy, which fills that vacancy by offering moderately priced, well-made drinks (including a stunning daiquiri made with three rums and allspice dram). It’s all served in an art deco/futurist space, with DJs on the weekends and live jazz and swing during the week. Kachka has vacated the space on Grand for a larger, full service location, leaving little Kachinka in its stead. The space doesn’t look any different, with its narrow hallway seating, Eastern European wallpaper, and rustic wooden tables, but the more casual cocktail-and-snacks vibe fits it well. Grab a Moscow mule and a Russian dog, infused vodka and pelmeni, or any of the other amazing Russian fare here. Keys Lounge feels a lot like your coolest friend’s basement bar in the 1970s. A spacious room lined with vintage records and vinyl booths, the retro bar boasts a nice patio perfect for warm-ish summer nights. The menu includes a fun tiki selection as well as a “boozy” section of high-proof cocktails, with prices hovering around the $9 mark; stop in for happy hour from 3 to 7 p.m. and again from 11 to close for $5 daiquiris and champagne cocktails. 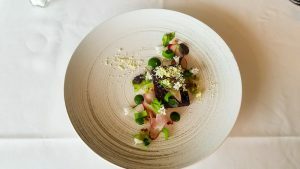 Canard is the third venture from legendary Portland chef and restaurateur Gabriel Rucker and his wine director, Andy Fortgang, next door to their flagship restaurant restaurant Le Pigeon. Stepping into it is like walking into a cafe of the Belle Époque, with a small wrapped marble bartop and an array of high tables, but the food and drinks are anything but old-fashioned. Fortgang has brought in a killer wine list, helpfully detailed with anecdotes about the wines and their makers, while classic cocktails with a modern touch dominate the drink menu. Try the Foie Turn, a cocktail with foie gras washed bourbon, along with the transcendent foie gras dumplings for a truly indulgent experience. Owned and operated by Portland bartending icon Ricky Gomez (Teardrop Lounge), Palomar serves a variety of daiquiris, some blended, others not, as well as drinks like an amazing piña colada and a stellar old-fashioned with rum and coconut; plus, each drink can get an absinthe upgrade for just 25 cents. Palomar also continues Portland’s current, welcome trend of vivid, colorful bars (see: Capitol) rather than dark, industrial spots. Fans of bartender Adam Robinson’s pop-up cocktail bar Deadshot are likely thrilled that the formerly once-a-week bar is now open seven days a week, 4 p.m. to 1 a.m. In this dark, black-and-gray-accented bar, you can find Robinson’s innovative drinks, like the Diplomatic Prince, a cabbage-infused aquavit drink, or the Who Is Jack Nance, a holdover from the former location with whiskey, sesame, mustard, and sherry that works shockingly well. À la carte bar snacks from Holdfast’s kitchen are there too, including the addictive pig ear nachos with pork confit, Brussels sprouts, and kimchi. Inspired by the Memphis Group, an Italian design style rooted in modernist aesthetics and strong geometric shapes, Enoteca Nostrana is a bold, stylish space, a two-story bar filled with a massive, double-decker, illuminated wine cabinet. The bar offers a more casual version of Nostrana’s menu, with some basic pasta options, salads, and the like, plus bar snacks that pair well with both wine and cocktails — try the seared albacore tuna tataki with a white or rosé wine for a delectable treat. The most recent in the wave of high-end wine bar openings, OK Omens replaced Cafe Castagna with an upgraded space: Brighter, lighter, and less cavernous, a banquette now takes up the center of the room, offering a more comfortable and casual arena for wines by the glass and bites by James-Beard-nom Justin Woodward. The cocktails here fit the wine theme with vermouth and sherry based drinks, but the real star is the ridiculously affordable and geeky-yet-accessible wines by the glass and bottle. Filling the space that was once home to Wild Abandon, Blackheart harkens back to the punk rock days of SE Portland, serving breakfast all evening in a laid-back space. A collection of vintage lamps give a soft light to the room full of leather booths, high-backed stools, and clunky mirrors, while tattooed bartenders sling cocktails and cheap drink specials like Jack Daniels and tallboy combos. Eventually it’ll add some karaoke, but for now come in for the affordable drinks, eclectic artwork, and ‘80s New Wave playing on the speakers. Portland has gone mezcal crazy; we can’t get enough of the smoky, earthy agave spirit. Nowhere is that more evidenced than at Teote Areparia’s new sister bar Teote Mezcaleria, which it says has the largest selection of mezcal on the West Coast. Besides the bounty of mezcals available as shots and flights, the new Teote also offers cocktails, including a surprising amount not made with mezcal, but with rum, bourbon, gin, and everything else expected at a cocktail bar. Like its sister store, the mezcaleria offers a covered, heated patio for an evening cocktail al fresco. Joining the historic upper Hawthorne district is Cavern, slipping in like it’s been there for a decade. A cross between an old-school Portland dive and a cocktail lounge, the bar is appropriately named, a dark and cozy watering hole with a focus on whiskey and other dark spirits. Bar stools and a few booths are the only seats available, so don’t bring a huge party. Oregon autumns are our favorite so we’ve rounded up our top three fall foraging destinations for you to put on your to-try list. Not just a pretty patio for sipping and soaking in valley views, the Sokol Blosser family’s esteemed Dundee Hills winery is home to one of the finest kitchens in the Willamette Valley. When executive chef Henry Kibit isn’t dishing up savory parsley root custard topped with salmon roe and licorice fern and slabs of tender brisket over fried wild nettles, he’s roaming the miner’s lettuce and morel-strewn hills behind the vineyard, collecting seasonal treasures to incorporate into the six-course Farm & Forage wine pairing luncheons he serves in an intimate, sun-splashed space behind the tasting room. 5000 NE SOKOL BLOSSER LN. Exit I-84 onto the Historic Columbia River Highway just east of Hood River and mosey into tiny Mosier, an unexpected treasure trove of antique shops, cideries and this charming farm-to-table restaurant, taproom and market. Taste husband-wife team Silas Bleakley and Kristina Nance’s handcrafted small-batch hard ciders made with apples from their nearby farm, pick up a dozen eggs or stay for a wood-fired pizza topped with heirloom tomatoes, sweet corn and basil. 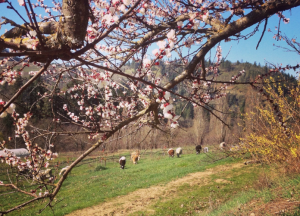 Don’t leave without an armful of fresh-cut flowers, just-picked stone fruit and garden greens, or ask about buying shares of the farm’s pasture-raised pork and lamb. Renowned for both his impeccable plating and deep commitment to local and foraged ingredients, James Beard Award-nominated chef Justin Wills serves some of the most intriguing food on the Oregon Coast, with a side of spectacularly scenic Whale Cove views from the light-filled dining room tucked inside luxurious Whale Cove Inn. As the compressed cucumber and mint sorbet of summer make way for fall fare, expect celery root macarons, roasted cauliflower panna cotta and foie gras, lettuce and tomato (FLT) sandwiches. 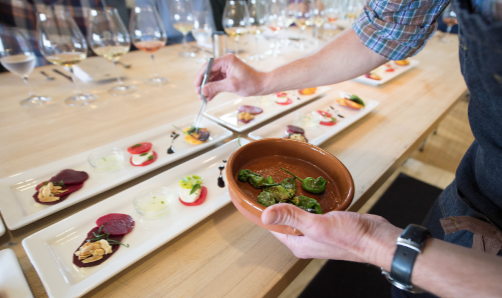 Opt for the wine pairing with your chef’s tasting menu, or a bottle of Brick House Vineyards pinot noir—co-owner and sommelier Stormee Wills curates an Oregon Wine Board award-winning list that devotes plenty of space to Oregon vintages, at a very nice price. International Pizza Consultant Anthony Falco, right, making pizzas with Tusk chef Sam Smith. When a real-life International Pizza Consultant calls Portland “the greatest pizza city in America,” you have to take note. Anthony Falco, the chef whose wood-fired pizzas helped put the Brooklyn restaurant Roberta’s — and its Bushwick neighborhood — on the map, was visiting Portland Wednesday, his second trip west in two weeks, this time to make pizza for the Feast Portland food and drink festival kick-off party at The Overlook House in North Portland. “It’s about the flour,” Falco said, “and the produce.” In Portland, pizzerias such as Scottie’s or Handsome make naturally leavened doughs using high-quality milled grains from the Pacific Northwest. (Contrast that with the bleached and bromated flours used at many Manhattan pie shops.) Others, most notably North Mississippi’s Lovely’s Fifty Fifty, are essential farm-to-table restaurants in their own right, places where the market-fresh produce, foraged mushrooms and pungent cheeses happen to be found on a pizza. 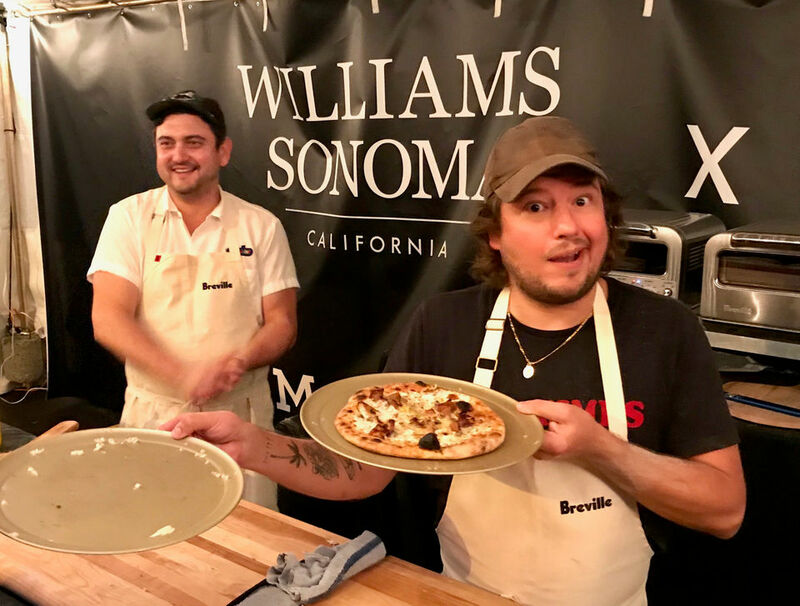 For the record, that International Pizza Consultant title is a bit tongue-in-cheek, though Falco does indeed travel the globe, sourdough starter stowed in his suitcase, helping restaurants set up their pizza programs. And his guanciale, wild mushroom and liquified triple cream cheese pizza was one of the best bites of the misty night, joining the caviar-topped Cool Ranch Doritos from Kachka and the salt-and-pepper fried everything from San Francisco’s Mister Jiu’s. Who better to make the call on Portland’s national pizza ranking? River Pig’s Ramzy Hattar is planning to open an 8,000 sq. ft. music lounge in the old Oba space. Hattar is planning to invite famous chefs to utilize the expansive kitchen. For more information click here. Renowned ice cream shop Salt & Straw recently launched its 6th Annual Chocolatier Series. The team pairs with famous chocolate makes to bring new and exciting flavors to your bowl. Scoops, pints and flights will be available in scoop shops starting February 2, and gift packs of the flavors will be available for nationwide shipping through www.saltandstraw.com. 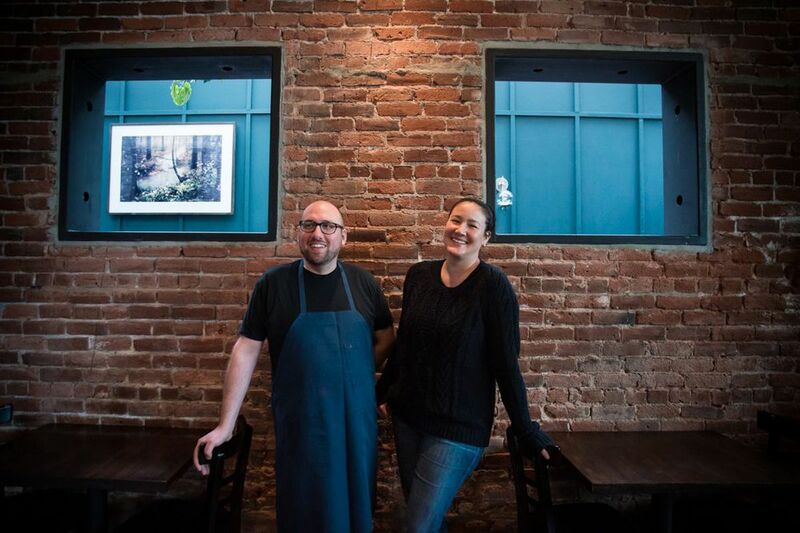 Bistro Agnes, the much-anticipated French restaurant from James Beard Award-winning duo Greg Denton and Gabrielle Quiñonez Denton, is set to throw open its West End doors tonight. As reported by PoMo, the chef-owners (best known for Ox) have confirmed Thursday January 18 as the opening date for the Parisian bistro, which is set to take over the pair’s previous restaurantin the same space as the small plates oriented SuperBite, which they shuttered at the end of December. PoMo also teases the menu for Agnes, which leans heavily into “old-school French comfort food”, in Denton’s words. Items like cassoulet, steak-frites, tartare, and profiteroles scream French classicism, although it’s not all oh-là-là-tellement-français — there looks to be some hybrid items, such as a cheeseburger, albeit one with truffled Bordelaise sauce. Bistro Agnes will start out as a dinner-only establishment, open seven nights, with lunch slated to be added after opening. Barry Schlesinger summed up the Oregon Convention Center Hotel project simply and succinctly at a ground-breaking ceremony this morning. “Today’s been a long time coming,” he said. Schlesinger, a partner and owner of the real estate-focused Schlesinger Companies, was referencing not only the nearly 30 years that it’s taken to make a convention center hotel a reality, but also to his family’s 11-year involvement in the project. His firm owns the land where the hotel will be built and is selling it to Mortenson, the construction and development company that will build the hotel. “It took all of us working together to carry this project through the toughest real estate market I have ever seen,” Schlesinger said. Schlesinger was one of the leaders and officials who took the stage at the groundbreaking ceremony this morning at the site, which sits just north of the Oregon Convention Center. Joining him were Portland Mayor Ted Wheeler, Tom Hughes of Metro, Dan Mehls of Mortenson, Karis Stoudamire-Phillips of the Metropolitan Exposition and Recreation Commission, Tom Lander of Mortenson and Kimo Bertram of Hyatt. Each thanked long lists of people who have worked for years to bring the Oregon Convention Center Hotel to fruition. The idea for one has percolated since the Convention Center itself was built in 1989, but finances, politics and even some legal challenges kept the project from advancing. 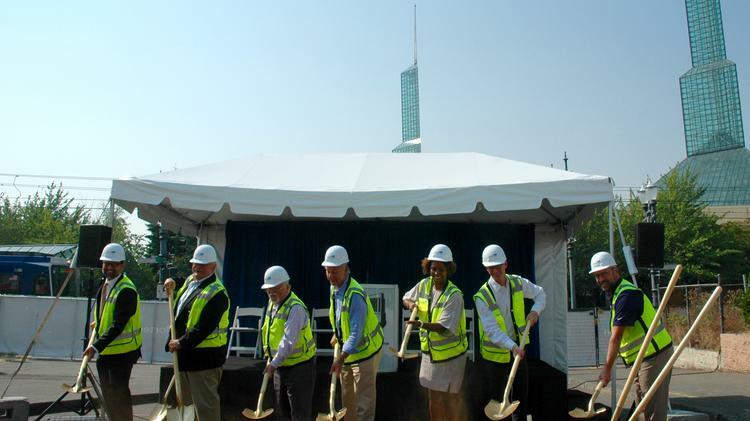 But everything started to finally line up over the past year or two, and now, the 600-room, $240 million Hyatt Regency Portland at the Oregon Convention Center is on its way. “We’re standing on the shoulders of many, many people and organizations … whose leadership and persistence and dedication brought us to this important moment, ” Wheeler said. Though today’s groundbreaking was largely ceremonial, building permits have been issued and work is expected to get underway in earnest in the coming weeks. The project is expected to create more than 2,000 construction jobs and an additional 950 hotel and hospitality jobs. According to an analysis posted on Metro’s website, the new hotel is expected to attract between five and 10 new mid-sized conventions each year. It could also boost annual hotel business by 70,000 to 110,000 new room nights, kick up convention-related tourism spending to $600 million a year and generate more than $10.3 million in new state and local tax revenues. Funding for the hotel will include $60 million in bonds backed by lodging tax revenue, $4 million from Metro, $10 million from lottery funds and $165 million from Hyatt and Mortenson. It is expected to be complete by the end of 2019.